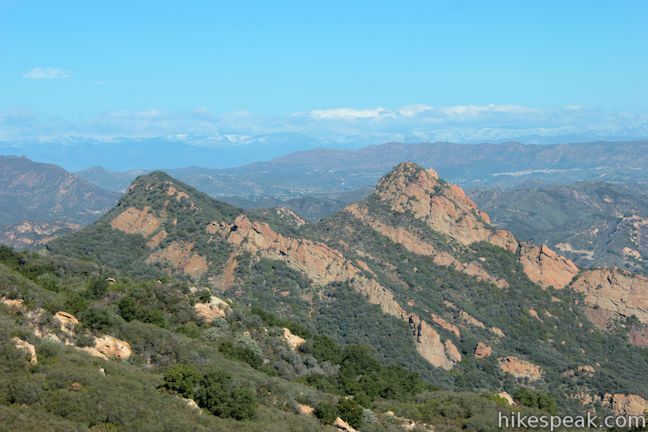 Existing without an official name until 2015, McAuley Peak was already a convenient destination along the Backbone Trail, hosting a distinct rock formation and panoramic views over the surrounding Santa Monica Mountains. 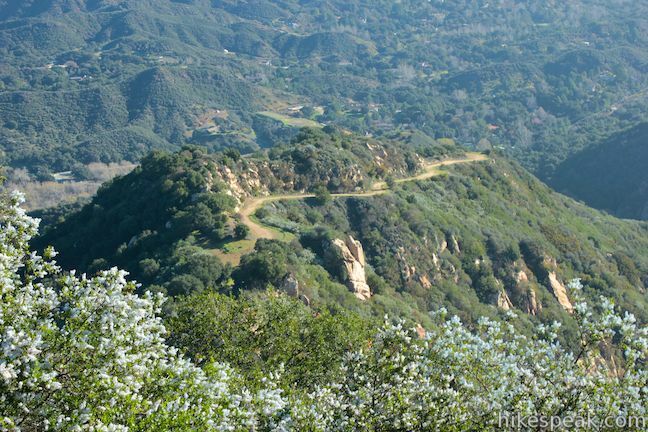 The name – honoring conservationist, author, and literal trailblazer Milt McAuley – adds even more heft to the peak. 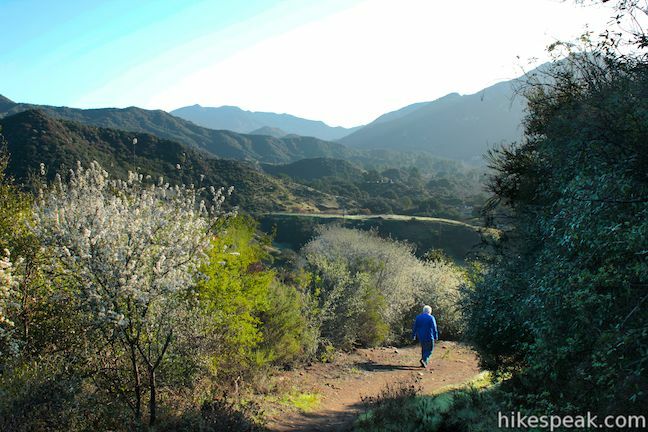 This hike to the 2,049-foot crown of McAuley Peak begins from the Piuma Trailhead in Malibu Creek State Park. 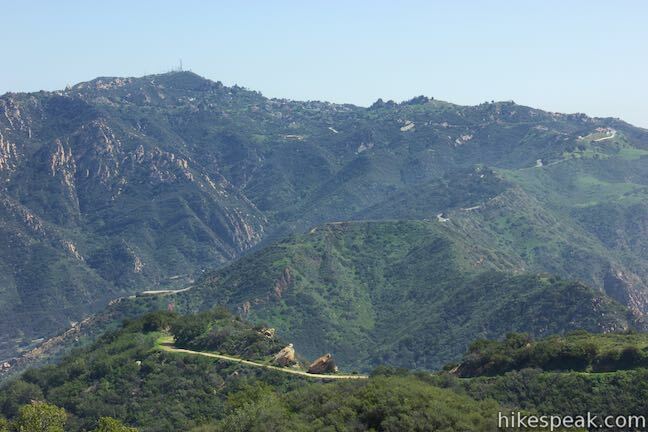 Ascend 2.95 miles of the Backbone Trail (including Mesa Peak Motorway) to spot the summit of McAuley Peak sitting just 1/8 of a mile off the major trail. 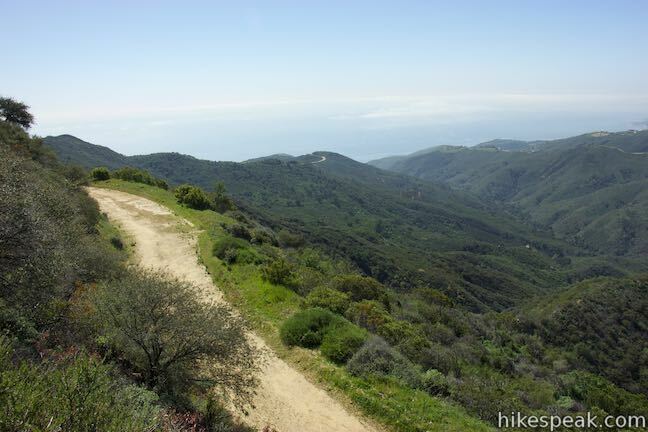 In all, the stellar hike to McAuley Peak is 6.15 miles round trip with 1,530 feet of elevation change. 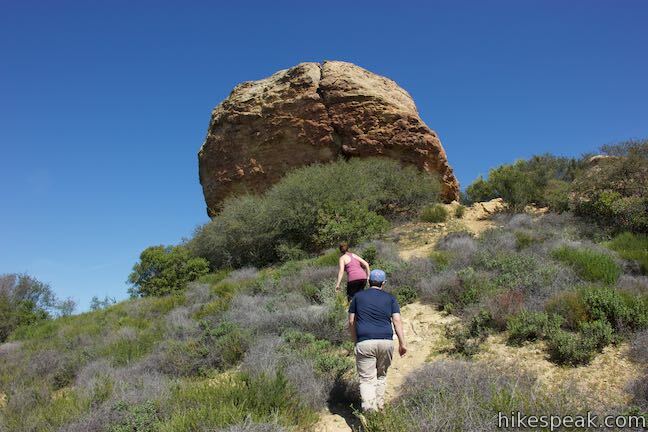 This outing can be extended to 7.25 miles by including nearby Mesa Peak. 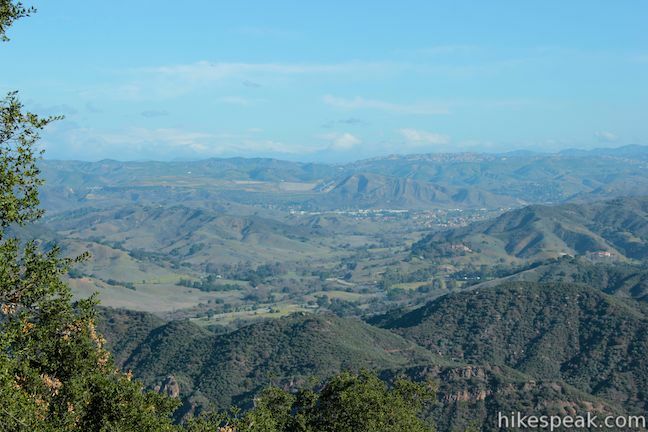 As an alternative for those who want less elevation to climb, setting out for McAuley Peak from Corral Canyon Road on the west end of Mesa Peak Motorway creates a 5.35-mile round trip hike with 375 feet of undulating elevation change. 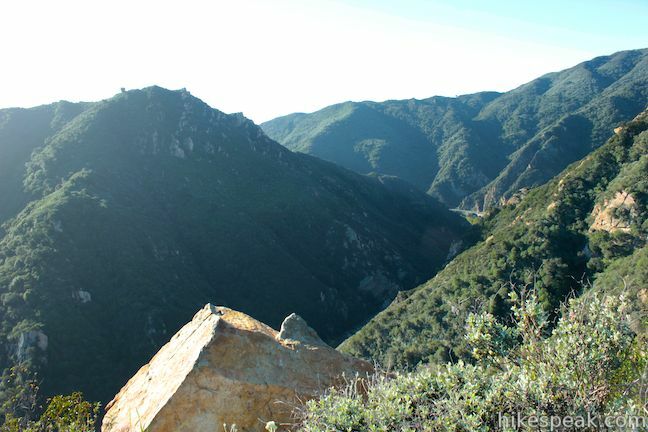 Prior to 2015, McAuley Peak was officially recognized only as Peak 2049. 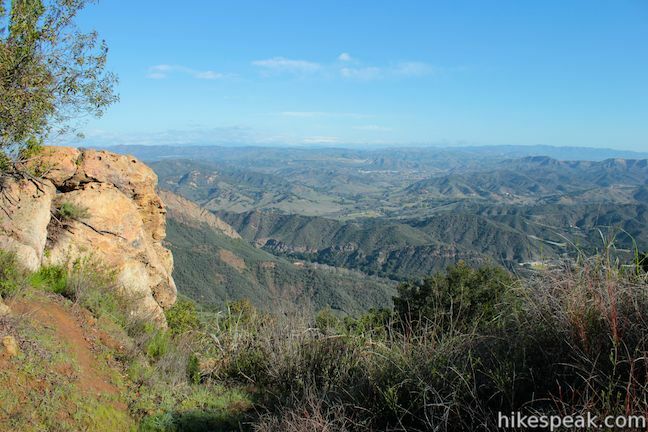 The ridge crest deserved to have a better name – because of its prominence, views, and recognizable rock formation. 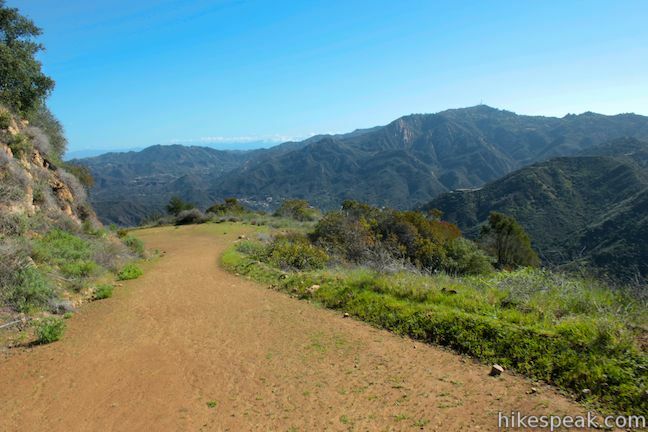 Milt McAuley deserved to have a peak named after him – because of the work he did to preserve the Santa Monica Mountains, create the Backbone Trail, and enable the public to explore and appreciate these mountains. 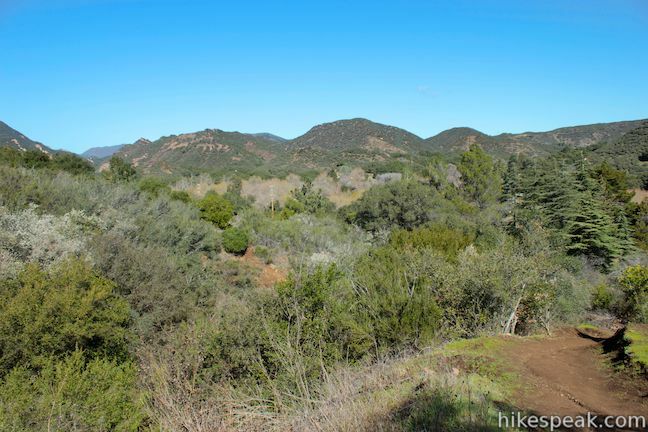 McAuley was a singular leader in the effort to preserve the Santa Mountains and make this spectacular region readily accessible to hundreds of thousands of members of the public every year. 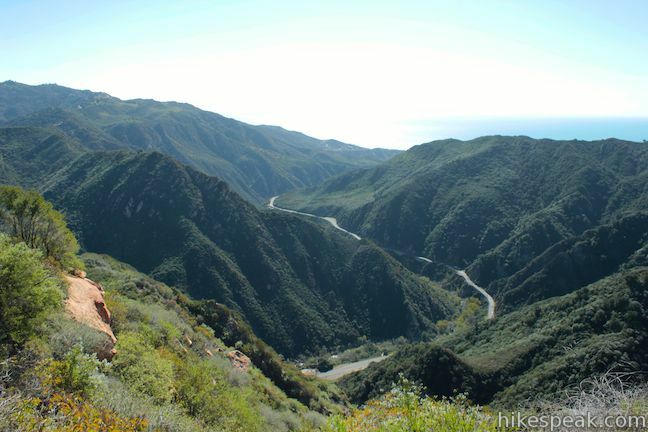 Of particular note, McAuley was one of a small group of hikers who helped plot the route of the Backbone Trail, a 60-mile ridgeline path that allows travelers to hike or ride from the western end of the Santa Monica Mountains National Recreation Area to Will Rogers State Historic Park in the east. 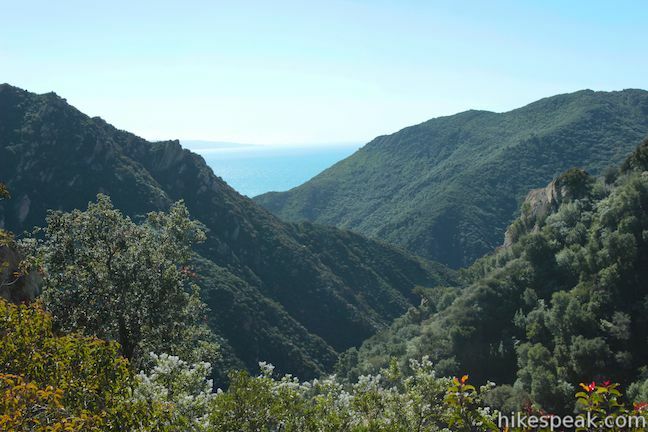 McAuley’s published one of the foundational hiking guides for the Santa Monica Mountains, using plainspoken language that conveyed his vision that the mountains should be accessible to all. 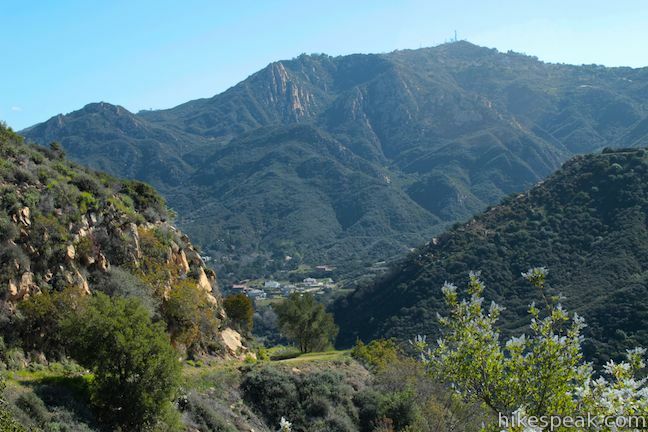 This mission continues to grow within the Santa Monica Mountains. 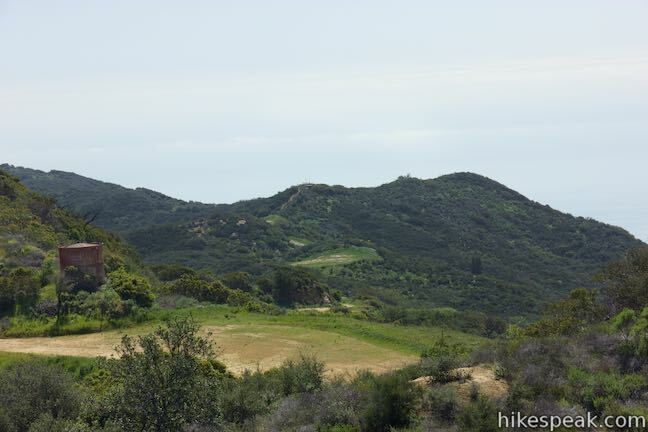 McAuley helped further a public movement to protect the Santa Monica Mountains that culminated in the formation of the Santa Monica Mountains National Recreation Area and the permanent preservation of tens of thousands of acres of public open space. 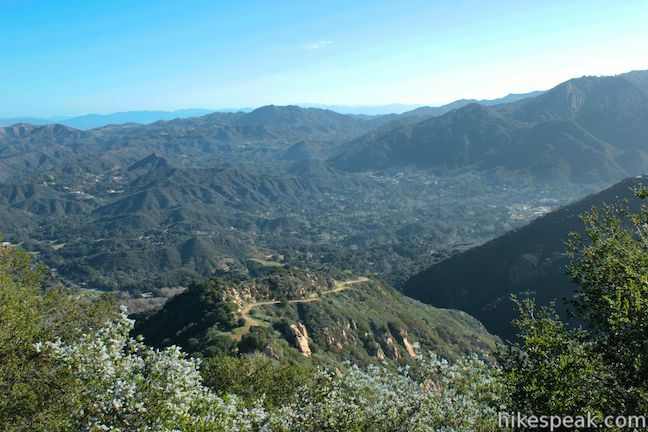 Without the public appreciation of these Mountains that was generated by the efforts of McAuley and others like him, the public would not have been willing to fight for, and invest in, the public acquisition and protection of this portion of the Santa Monica Mountains. 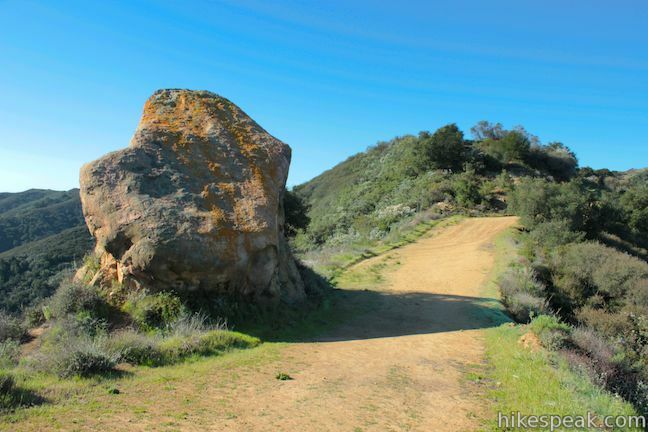 Take a trek to the prominent sandstone outcropping off the Backbone Trail and you’ll see why Peak 2049 is a fitting place to posthumously honor Milt McAuley, who hiked to this summit and many others in the range. 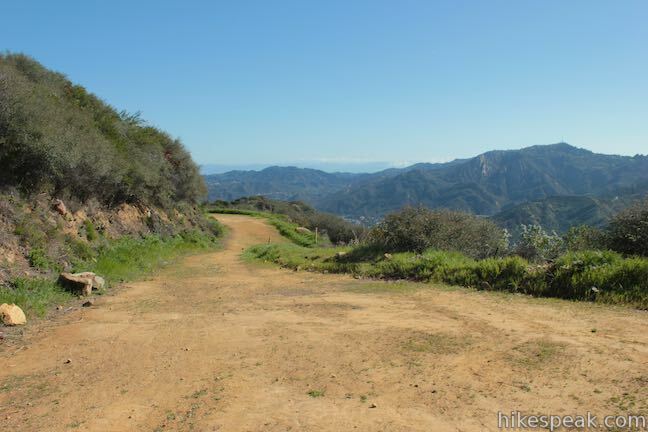 Set out from Piuma Trailhead on Malibu Canyon Road at the south end of Malibu Creek State Park, about four miles from the Pacific Ocean. 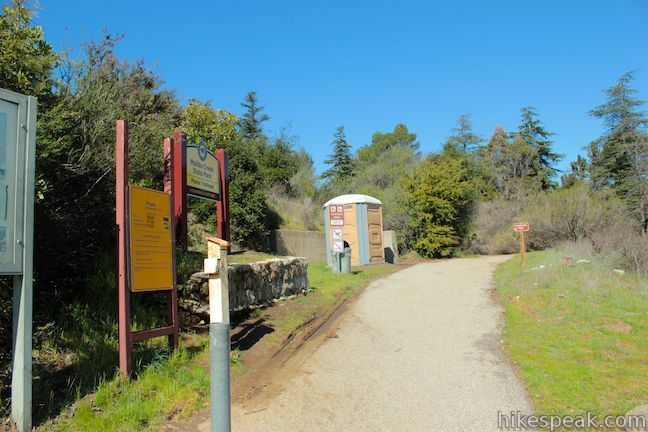 Pass the bathroom and make an immediate left at a marked junction to begin up the Backbone Trail. 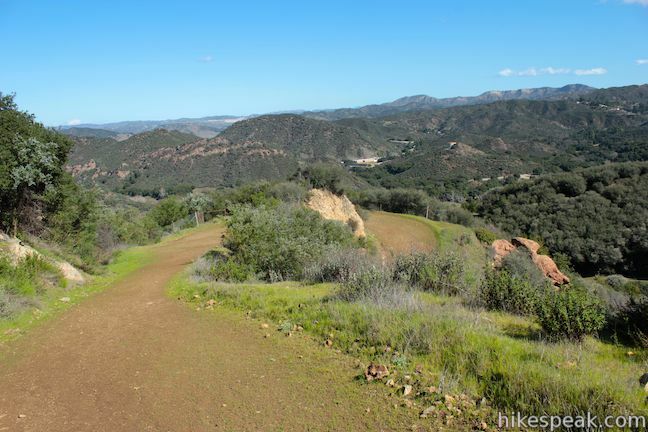 The first leg of the hike is 2/3 of a mile of dirt single track leading to a wide dirt road, Mesa Peak Motorway. 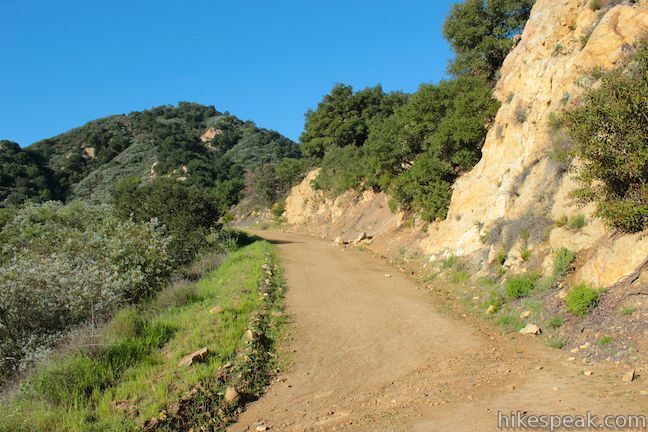 The single track gradually ascends a mountain slope with over-the-shoulder views north toward Agoura Hills. 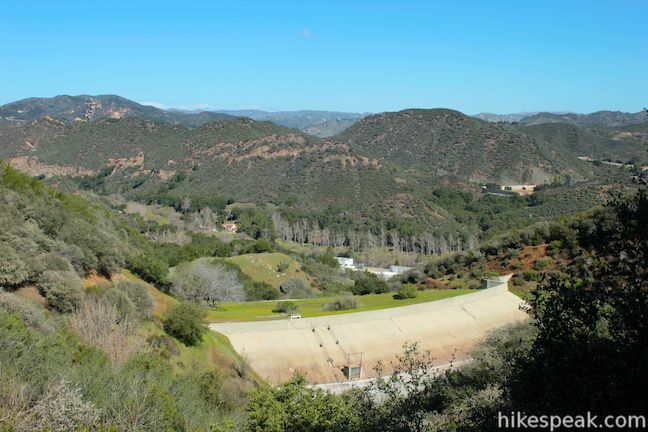 The trail crosses a rocky gap and passes through chaparral above a small dam. 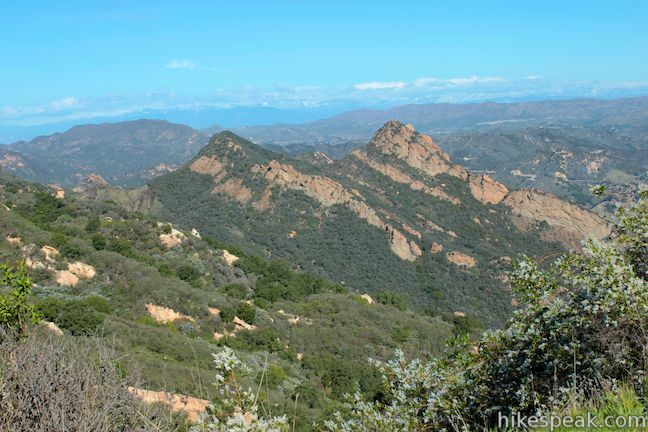 Observe Brents Mountain, a rugged twin peak of orange rock with a white cross on top. 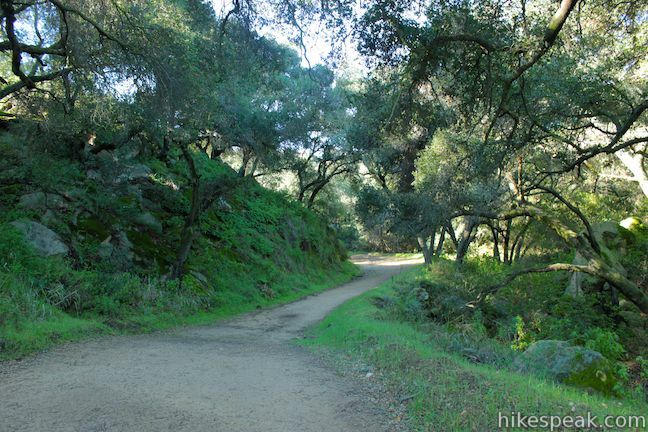 At the end of the single track, 2/3 of a mile from the start, turn left up a wide dirt road, which immediately launches into a horseshoe bend to the left. 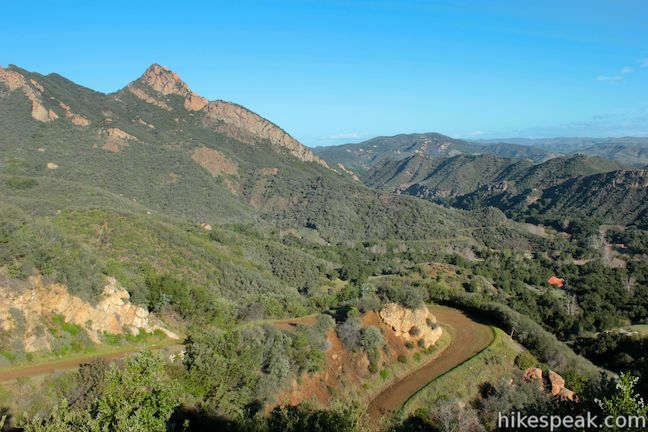 Mesa Peak Motorway leads higher up the mountainside and is fairly steep in places. 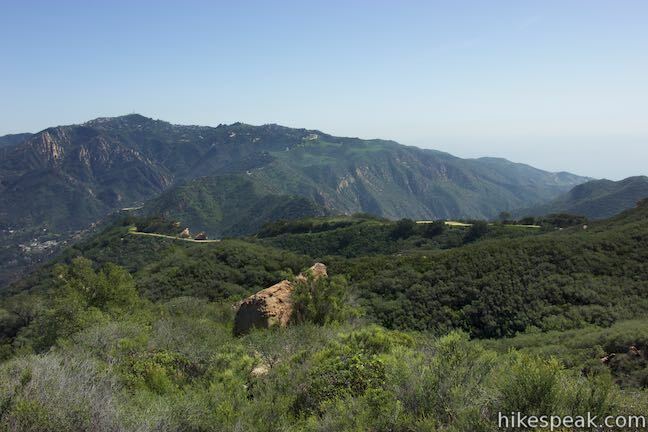 The views improve as you climb, so make a point to stop and enjoy the scenery any time you need to catch your breath. 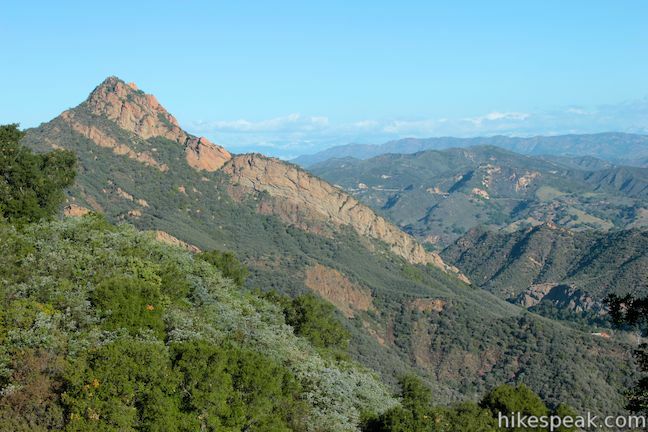 Less than half a mile up Mesa Peak Motorway, a bend to the right delivers open views east toward the 2,805-foot summit of Saddle Peak. 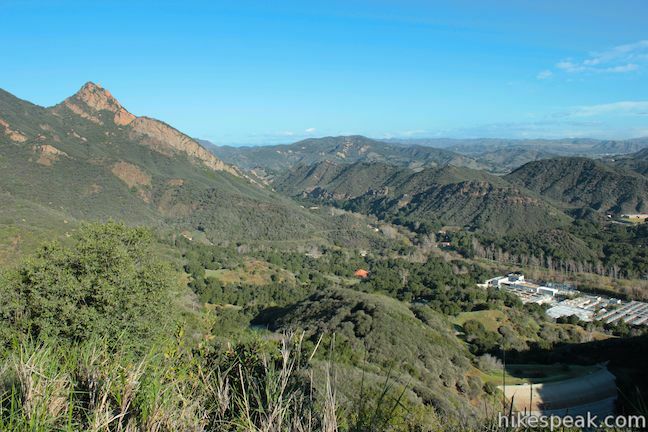 The end of this bend presents new views down Malibu Canyon, where steep rock walls drop to Malibu Creek on its run to the Pacific. 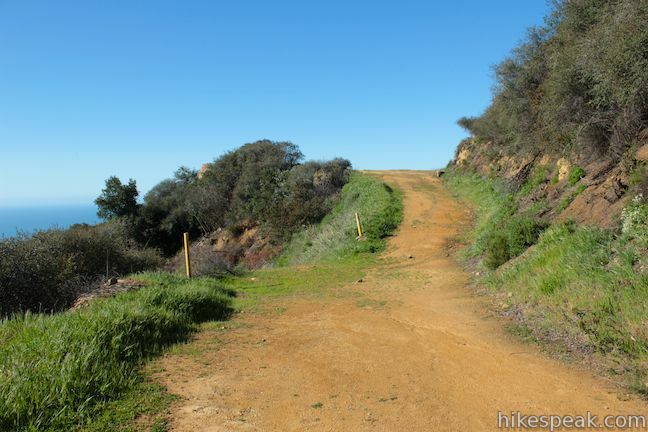 The trail progresses along a ridge above Malibu Canyon that offers alternating views either south and east toward Malibu Creek and Saddle Peak or north and west toward Brents Mountain and Agoura Hills. Pass a small holding tank about 1.4 miles from the start and continue up the road. 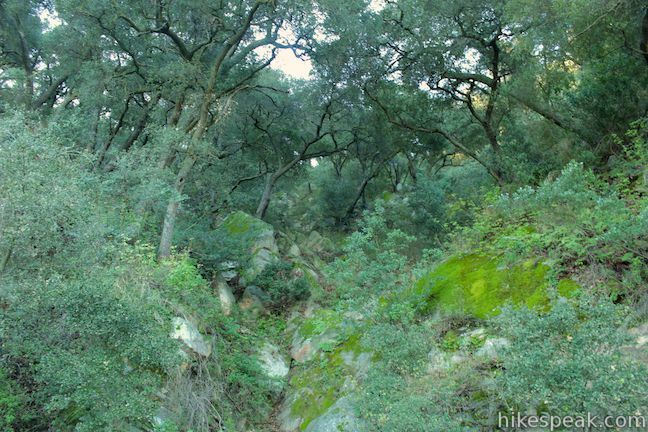 Cross through an enchanting oak woodland, 1.85 miles from the start, where boulders below the trees are covered in moss and ferns. 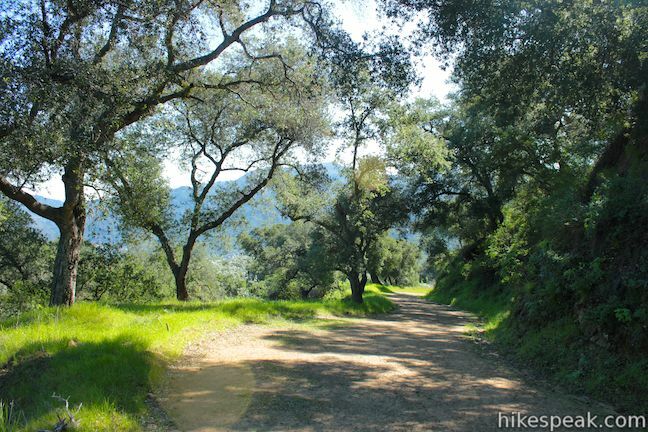 This is the most impressive of several bunches of live oaks that this mostly sun-exposed hike crosses. Mesa Peak Motorway pushes higher up the mountain. 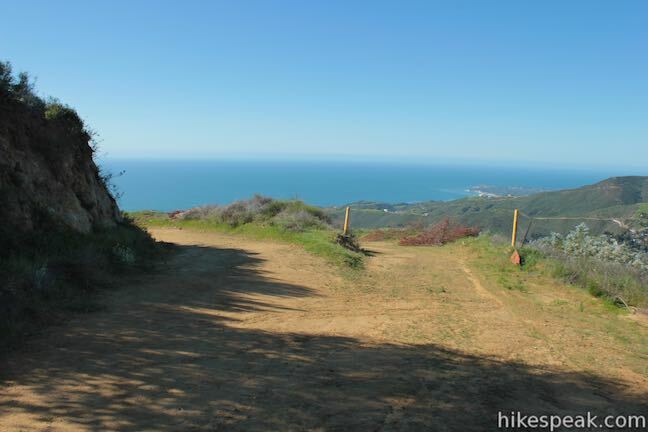 At 2.1 miles, gain an impressive view back down over the lower part of the trail where you got the first look into Malibu Canyon. 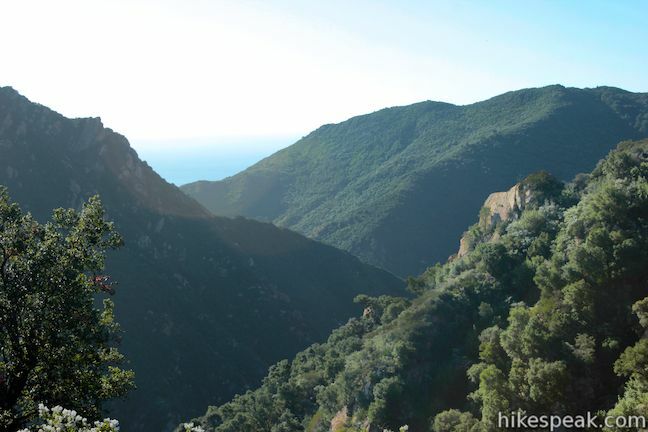 Now 600 feet below, that part of the Backbone Trail serves as a good reference point for appreciating the grandeur of these mountains. 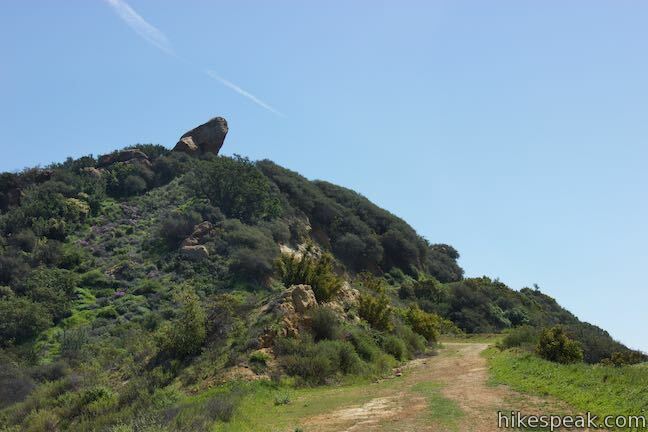 Continue up the mountainside, passing a saddle on a ridge marked by a tall orange boulder (2.25 miles from the start). 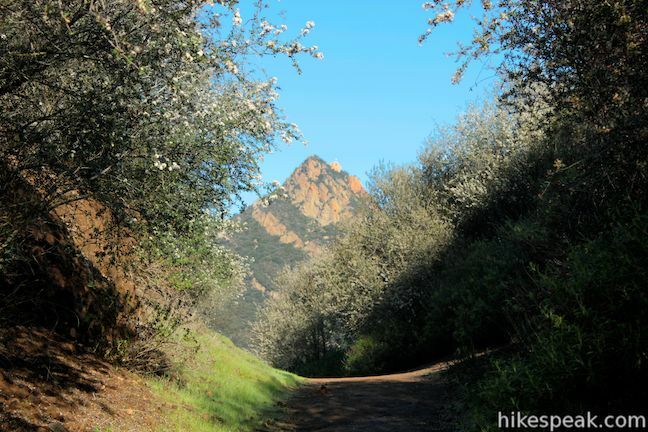 Ahead, gain a view of Mesa Peak, a flatter section of the mountains to the south. 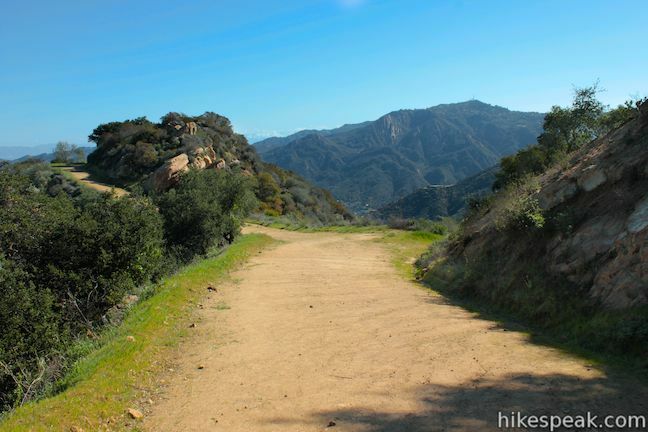 After hiking just over 2 miles up Mesa Peak Motorway, and 2.7 miles from the start, come to an important split in the road. 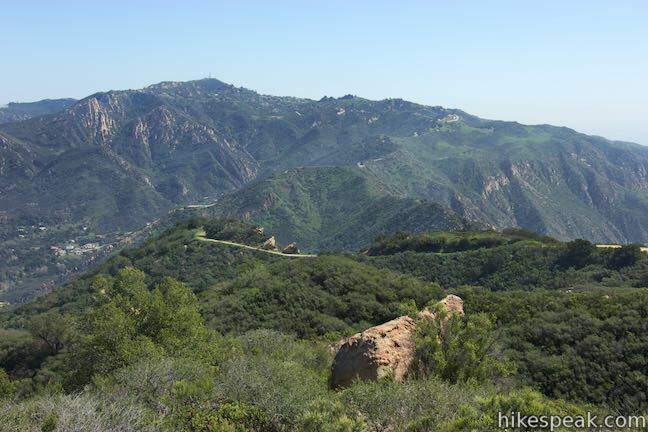 Puerco Motorway heads south, descending toward the top of Mesa Peak, which is 0.55 miles away (and actually at a lower elevation than this junction). 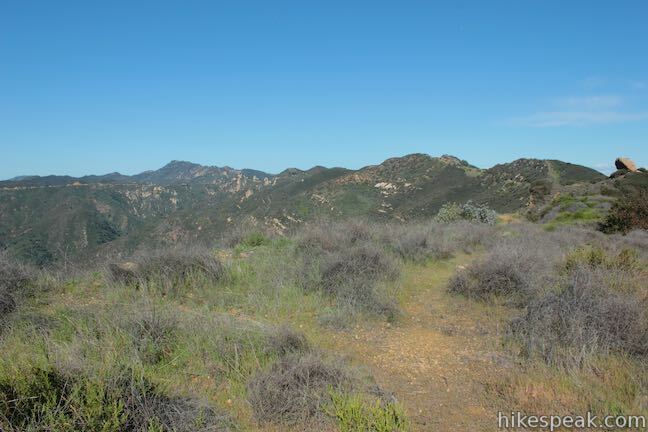 Bear right to hike another quarter mile up the Backbone Trail (Mesa Peak Motorway) toward McAuley Peak. Mesa Peak Motorway hits another junction after just 0.05 miles where Puerco Motorway West descends to the left to join the other branch of Puerco Motorway. 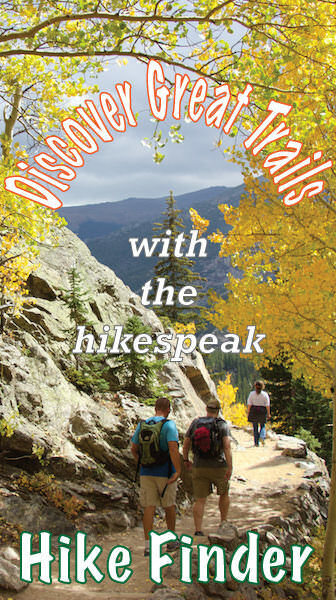 This trail is useful for those hiking to Mesa Peak from the opposite direction. 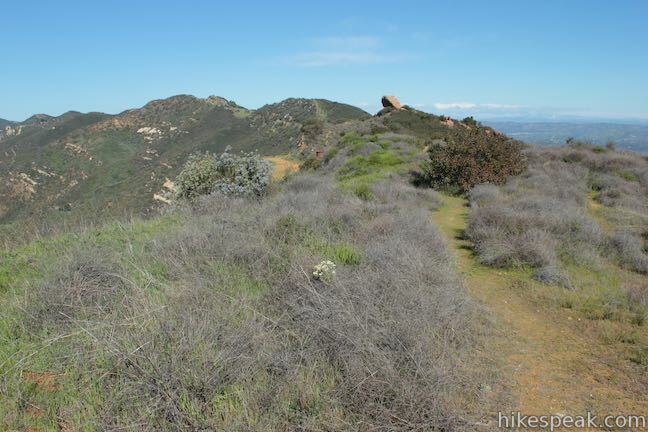 Bear right and push up Mesa Peak Motorway, which wraps around the east side of the bump on the ridge (a footpath crosses over this bump and can be used as a variation from the trail). 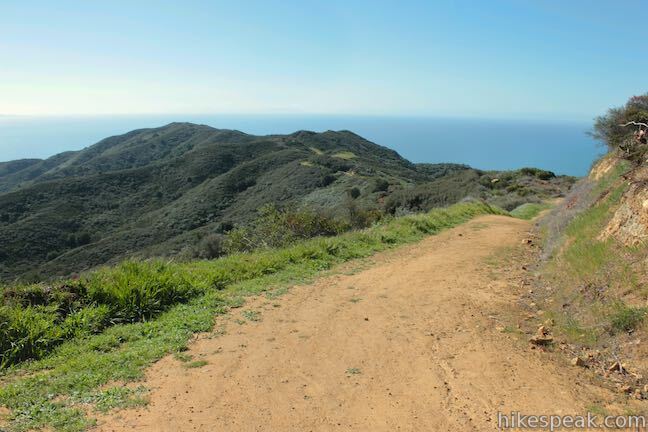 Rise to bigger views over Malibu Canyon and the trail you hiked up. 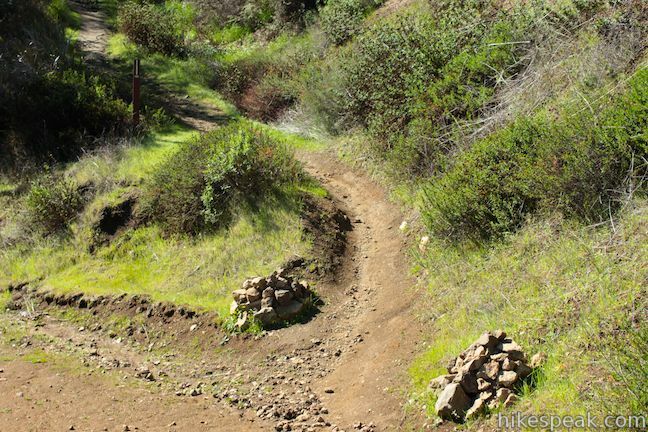 Mesa Peak Motorway levels out and approaches a dirt clearing. 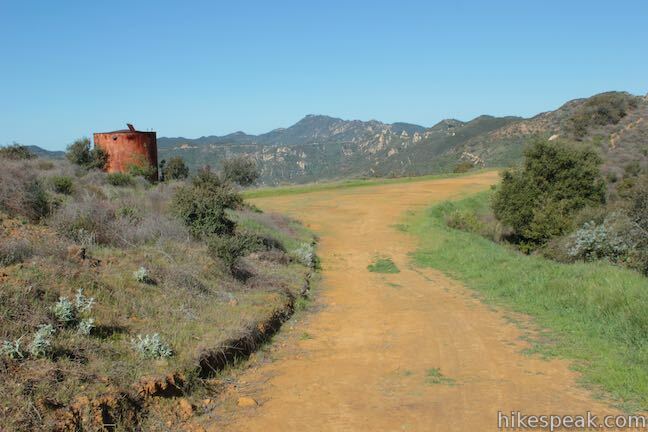 Spot a rusted holding tank to the left. 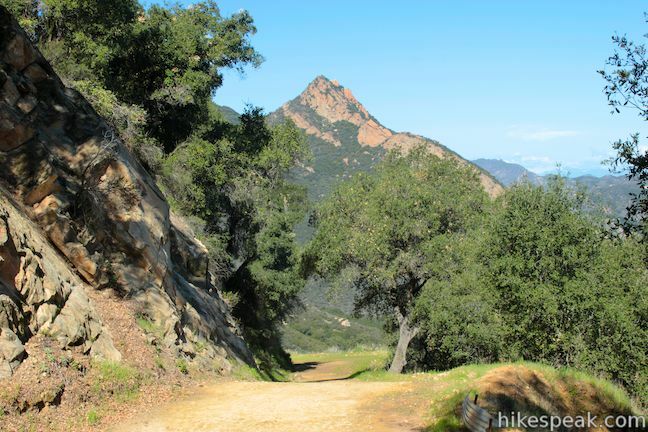 To the right, a path parts for the top of McAuley Peak, which is capped off by a large, sandstone protrusions. 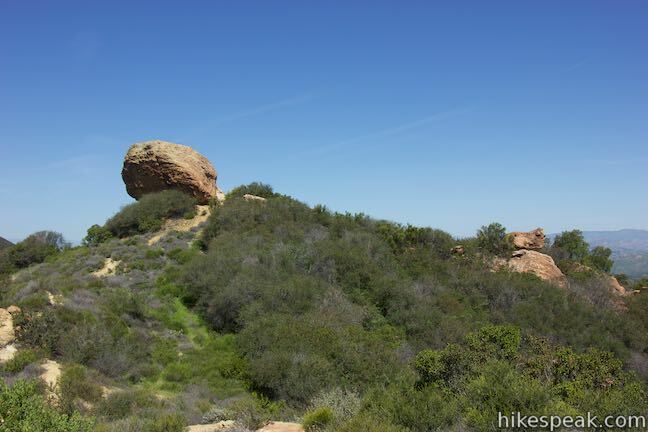 Looking at this peak from the opposite direction, the prominent sandstone boulder looks like the head of a lizard or a frog. 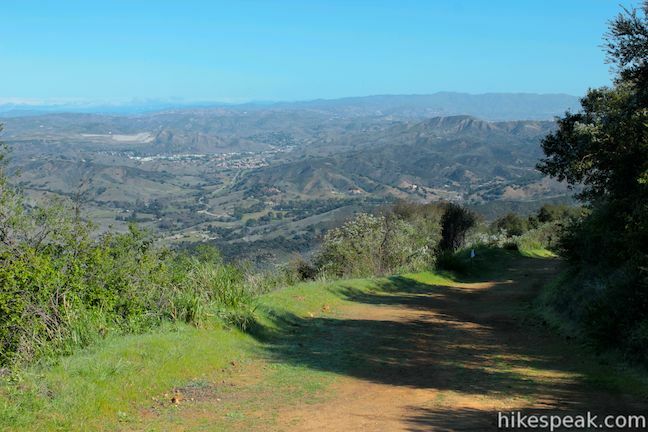 The path from the Backbone Trail up to the top of McAuley Peak is only 1/8 of a mile long, gaining about 50 feet. 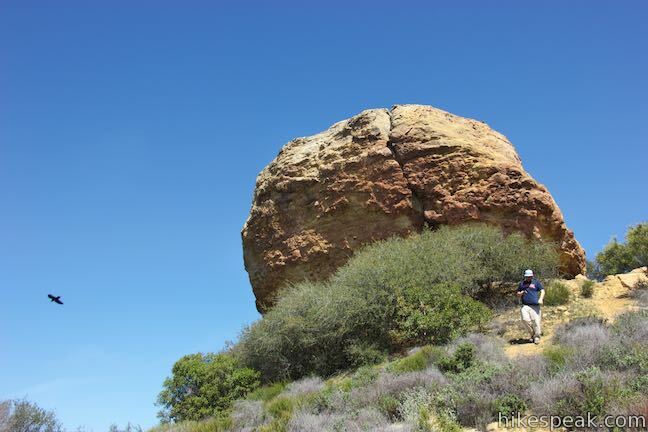 Make your way up and have a seat beside the boulder. 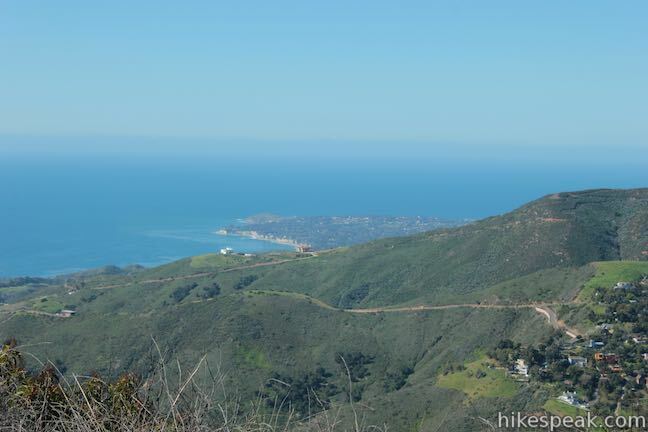 Look out from McAuley Peak and you’ll be satisfied by what you see. 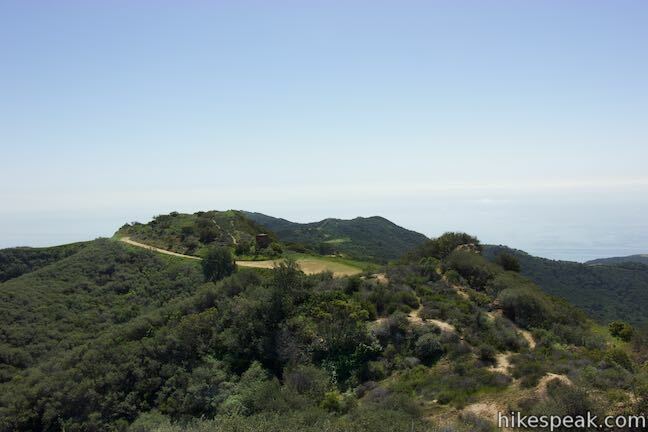 The panoramic views to the south and east are somehow grander than those featured on the hike up. 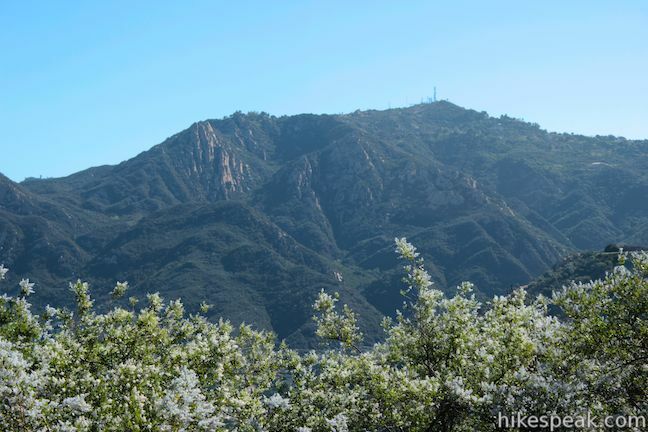 Saddle Peak looks spectacular, and you should be able to gaze down on the Pacific Ocean beyond Mesa Peak to the south. From this perch, it is easy to see why the mountaintop formerly known as Peak 2049 deserved a better title. 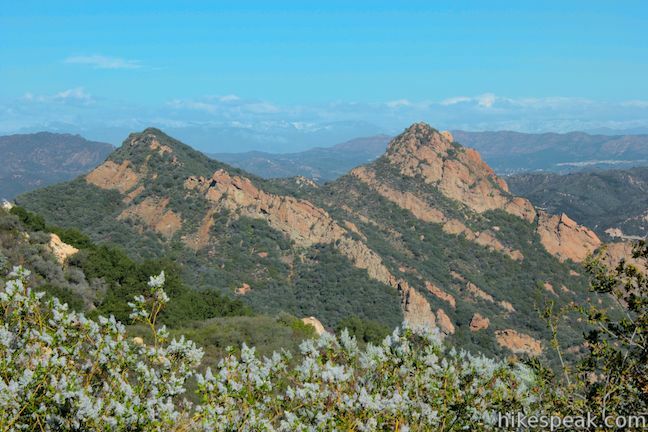 The views from McAuley Peak also make it evident that the Santa Monica Mountains are special and worth preserving. 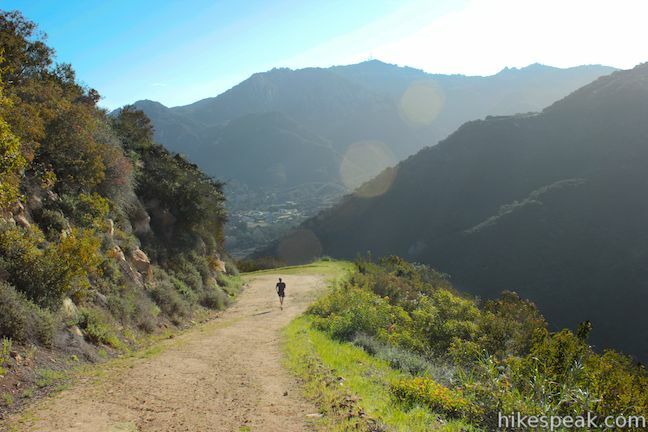 If you feel inspired by McAuley’s legacy, consider joining or donating to groups like the Santa Monica Mountains Trail Council or make your hike into a fundraiser for Team Sierra. 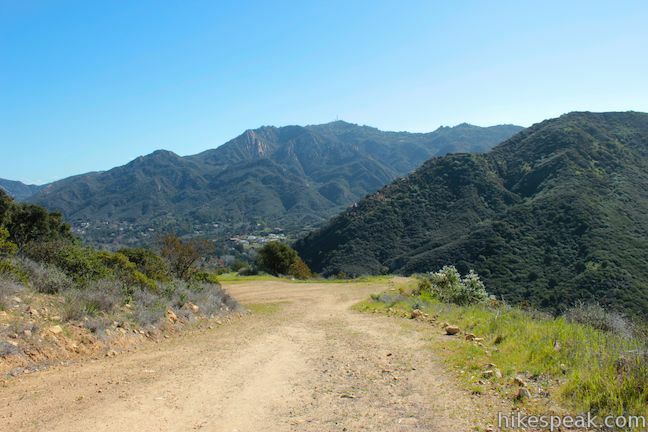 After visiting McAuley Peak, hike back down the way you came. 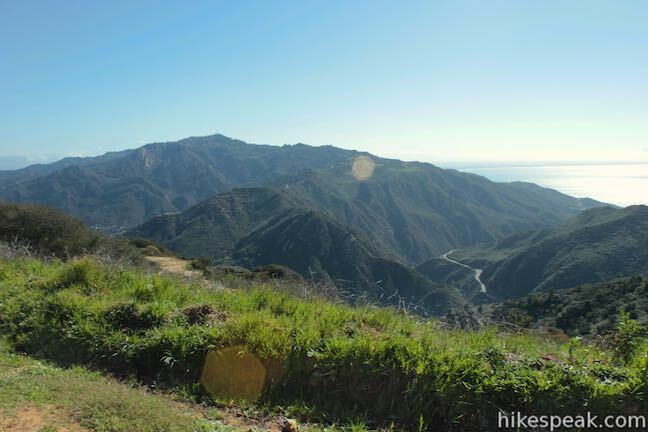 As you pass Puerco Motorway, if you have extra energy, consider hiking down to the summit of Mesa Peak for broader ocean views than those from McAuley Peak and Mesa Peak Motorway. 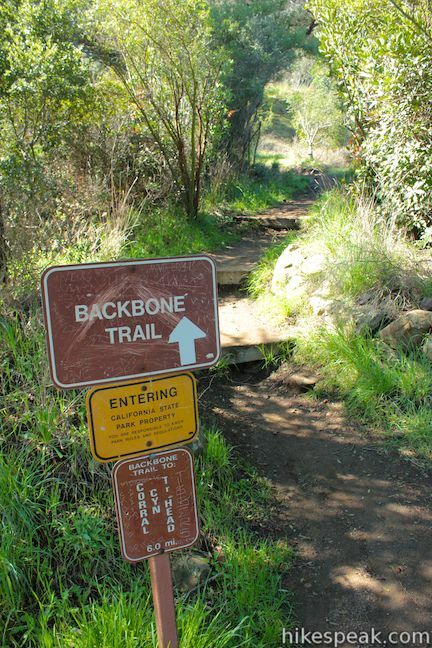 Dogs are not permitted on this hike, but mountain bikes are allowed to use the Backbone Trail. 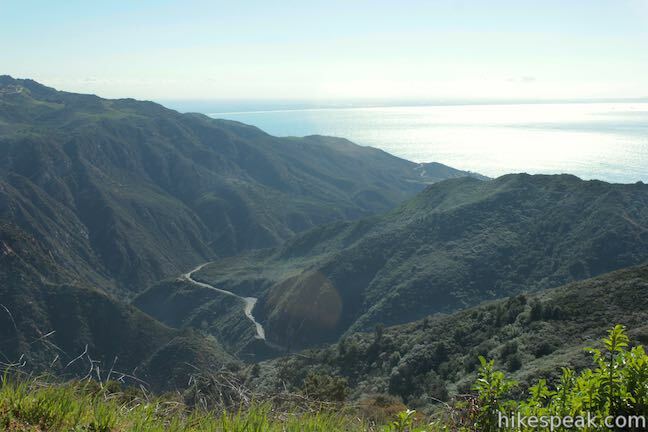 A $12 California State Parks day use fee is charged to park a vehicle at the trailhead (price as of 2018), but no permit is required to hike to McAuley Peak, so get out and enjoy! 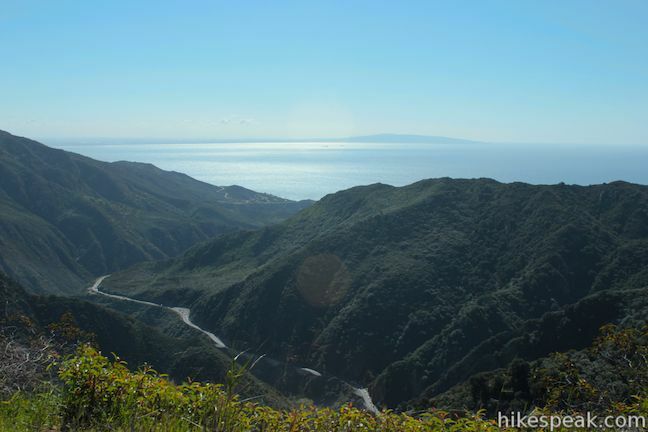 To get to the trailhead: From PCH in Malibu, drive inland on Malibu Canyon Road for 4.5 miles and turn left into the parking area for the Piuma Trailhead on the west side of the road. 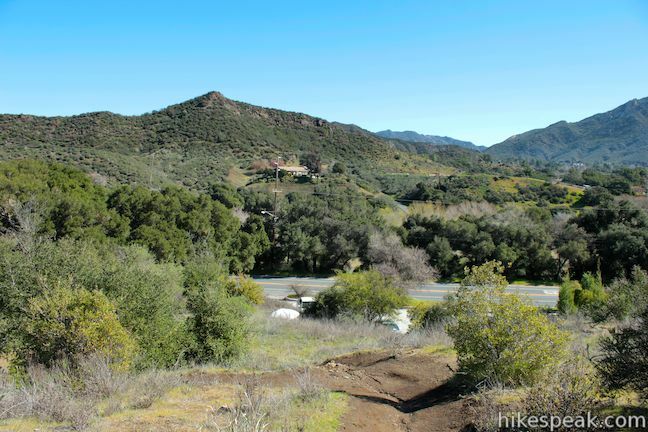 From the north, take the 101 Freeway to exit 32 for Las Virgenes Canyon Road in Agoura Hills. 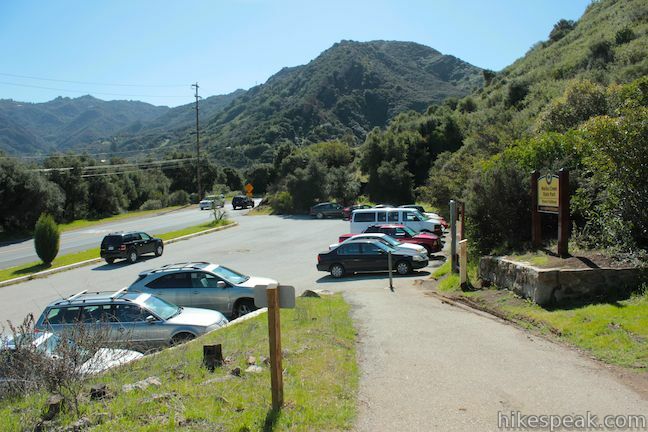 Drive south for 5 miles on Las Virgenes Canyon Road (which becomes Malibu Canyon Road) and turn right into the parking area for Malibu Creek State Park’s Piuma Trailhead. 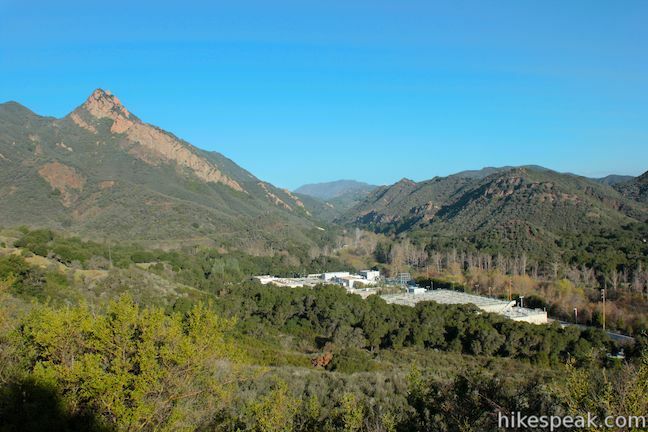 The turnout is a tenth of a mile south of Piuma Road and 1.6 miles south of the main entrance for Malibu Creek State Park. 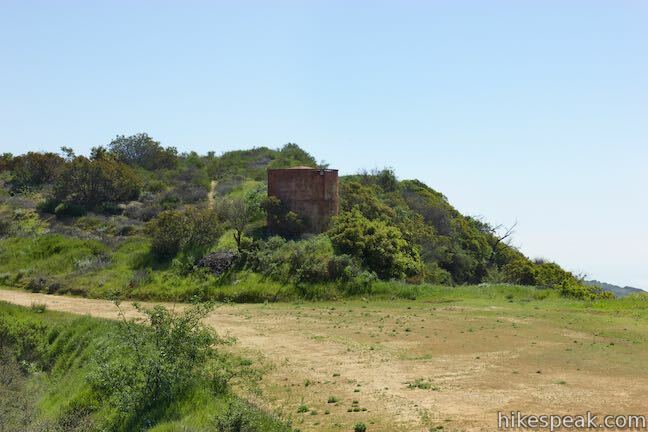 These photos were taken in March of 2013 and February of 2015. Click to enlarge.